GoldOpinions Review – Spot the Warning Signs! Online paid surveys can be a great way to make some extra money and is a very popular way, because it is so easy to get started and usually does not take any investment at all. However, not all sites that offer paid surveys are worth joining, and some are outright scams. In this GoldOpinions review, I will go through what this particular site has to offer and show you some important aspects you have to be aware of before joining. By the end of the review, you should know by yourself whether GoldOpinions.com is a legit site you want to join, or a site you want to stay away from. GoldOpinions is a member site, where you can earn money by doing online surveys. I have not been able to find any information about when the site was started and who is behind the site. Before you join, there is not a lot of information about what the site really offers. All you can see is that you can join to get access to high paying surveys and choose between a large range of rewards. The site mentions that you can make between $500-$5000 per month and that it is really up to you to decide how much you want to make, depending on how much time you put in. Usually, paid survey sites are free to join. GoldOpinions has a monthly fee you have to pay as a member. The site is very open about this and also explains why you have to pay. The reason is that usually survey sites take commissions every time you do a paid survey from the company the survey is done for, but GoldOpinions does not. Therefore, you will get higher rewards for the surveys you do, but they still have costs to cover, and therefore they charge you a monthly fee. Fair enough reason, and nice that the site explains it that clearly. I am however not completely convinced this is the real reason, but I will get more into that later. Now back to what the membership fee is. The price is $27 per month. That includes unlimited updates and support. There is however a trial period the first 7 days. You can get you first 7 days for $1. On the site, it says that it is a 3-day promo, and you can only get this introduction offer for a limited period (see picture), but I have checked it on many different days, and the date for the expiration always happens to be the day after you see the offer:-) So my guess is that this “special” offer will never expire but just show a new date every time you visit the site. Tip to get an extra bonus if you join! If you decide to join (and please read the full article before you decide to join), then there is a little tip to get an extra joining bonus. Just try to leave the site by closing down your browser. Then a pop-up message will come up asking if you are sure you want to leave. Say that you want to stay on the site, and then a special offer will come up. This is an offer that will give you an extra $50 joining bonus from GoldOpinions’ partners. It does however not say who the partners are or anything else. It also says that this is a one-time offer and that you will never see this offer again. I can from personal experience say that this is not true. I have tested it several times, and every time I get this offer, so not really true that it will not shown up again. The special offer you get, if you try to leave the site. To be honest, I cannot say for sure whether it will be worth your money or not. I do in general myself stay away from survey sites that charge a joining fee, as that is one of the main signs you have to be careful about a survey site. In this case, I would have to put in my credit card information to get the 7-day trial, and because there are several signs on the site that it is not a completely honest site, I do not want to risk giving my card information to them. All these signs, I will go into now. As mentioned above, I cannot say for sure, but I can show you the warning signs and the aspects you have to be aware of, and the reasons I have decided not to join. Then you can take all this information into consideration and make your own informed decision. This is one of the main signs that you should stay away from a survey site. Contrary to some other survey sites like Click4surveys that are trying to hide the fee at first, GoldOpinions is very honest about the fees from the beginning, which I appreciate. It is however the first time I have seen a survey site charging a monthly fee. Usually, it is a one-time joining fee, but $27 a month is quite expensive compared to other sites that charges a fee. But if it is as good as it promises, it would still be a good deal. I am however not convinced about this based on my experiences with paid surveys. At the site you can see that it is possible to make $500-$5000 per month. This means that you could potentially make a living from it. This is very unlikely. In some cases, you can make $500 per month, if you join several of the best survey sites, but making $5000 is not realistic with surveys. I know the site does not promise this, but I think it is dishonest when a site indicates that it is possible to make a living from doing surveys. 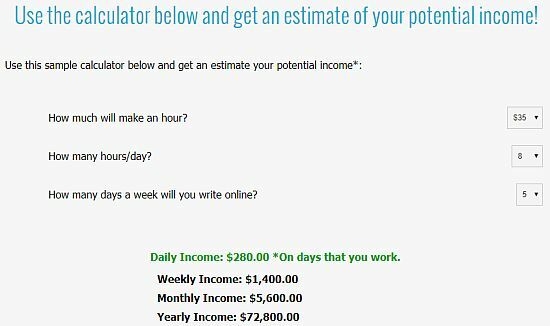 The calculator that gives you the impression that you can make a living from joining the site. I have give a couple of examples about this above. For example does it say that the 7-day trial is a time limited offer, and the special joining offer when you try to leave the site, is also not so special as it is there every time. Lies like this, does in my opinion damage the overall credibility of the site, and if it lies about things like this, what else is it lying about? Right under the top header, there are some logos of famous networks and websites and it says “as seen on”. This is a great way to create trust. One thing that seems strange to me is however that there are no links to the actual articles or mentionings of GoldOpinions. If the site had really been shown on these networks, it would be normal to link to them. I have searched everyone of these networks, and was not able to find any mentioning of GoldOpinions. The only article I found on these websites that was close to this topic was on Working Mother, but the article just talked about paid surveys, and not about GoldOpinions. So seems a bit strange to me, and as a claim that does not proof antyhing other than it should make you more suspicious. The networks/websites GoldOpinions claims to be featured by. Overall, GoldOpinions has too many warning signs for me to recommend joining it. If you want to make money doing surveys, there are plenty of good, legit, and honest sites that are free to join. You can check out the best survey sites through the link below, if you want to know more about this option. If you have any experience with GoldOpinions.com yourself, or have any questions, I would love to hear from you in a comment below. 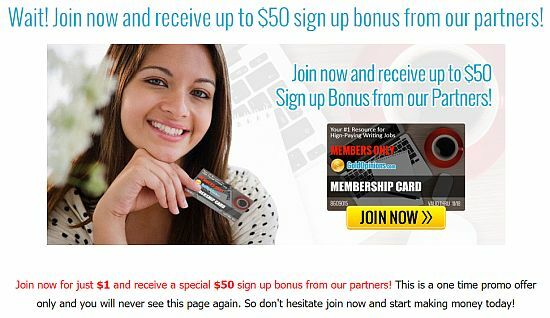 GoldOpinions has many warning signs and uses many tricks/false claims on the website to sell a membership. Any survey site that charges a fee for joining, I will stay away from. 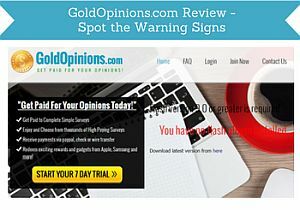 Together with all the other warning signs on GoldOpinions.com, it means that it is NOT a site I can recommend joining. grateful 4 your info about gold opinions, I was just about to joint when I notice that they ask me my personal details which make suspicious about this site. I quickly looked into pros and scanned the web regarding gold opinions. Very glad to hear you did not join and that my site helped you to clarify what GoldOpinions is really about. Thanks for the feeback. I appreciate it.